And now, I'm teaching the technique that has given me so much success. Go ahead and bookmark my Blog - I'm updating it almost every day with some great singing tips and insights to the vocal technique that I teach. Some of my career highlight performances include a Carnegie Hall debut with the New York Philharmonic, performances at Lincoln Center, Alice Tully Hall, Sarasota Opera, Opera North, and also with such notable performers as Paul McCartney, Julie Taymor, Kelsey Grammer, Kelly O'Hara, and Brian Dennehy. It was a great honor to be described as "unforgettable" by the New York Times, and I have toured to Brazil, Italy, China, and Austria, performing with world-renowned symphonies and giving vocal lesson masterclasses in esteemed venues. Boulder Voice Lessons is a new beginning for me, here in the Front Range of Colorado. I would love to meet with you and discuss your singing goals. Screen Actors Guild (SAG), and the American Guild of Musical Artists (AGMA). I require a 24-hour advance notice of cancellation of your voice lesson (unless there is an emergency; this is considered at the time of the event). You are expected to pay for a full lesson if you fail to cancel without 24-hour notice. Please note that 9pm the day before your lesson is not a 24-hour notice. I would appreciate time to contact another student who could perhaps use that available time. Please let me know if you are running late. I will do my best to accommodate you, but I can not guarantee that you will receive a full lesson if you arrive late for your scheduled time. If I must cancel your lesson for any last-minute unforeseen reason, I will make it up as soon as possible within the same week or at least the same month. Since 2002, I have been helping singers Increase Range, Vocal Stamina, Confidence, and Vocal Power. Master of Music degree from Manhattan School of Music Bachelor of Music degree from Birmingham Southern College. I'm a proud member of Actors Equity (AEA), Screen Actors Guild SAG/AFTRA, and the American Guild of musical Artists (AGMA). I started teaching after my Masters Degree, and have loved seeing the progressions of my students for the past 15 years. 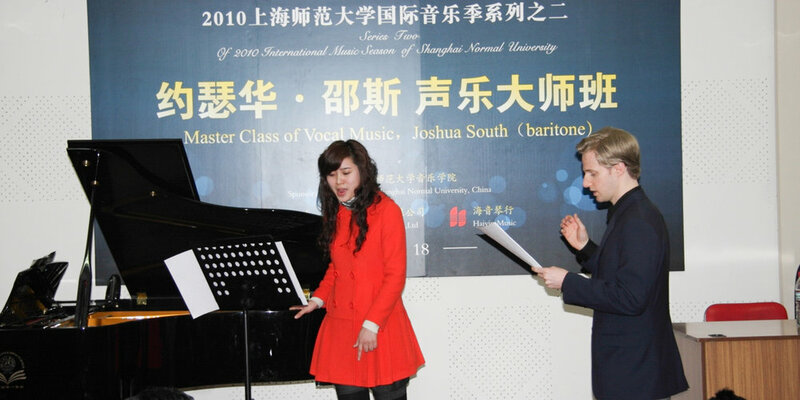 I teach a wide variety of ages how to sing: from 8 year-old students to 70 year-old students. Describe a recent project you are fond of? Do you want to Learn How to Sing?? There are a million voice teachers out there. Choose your teacher wisely! Ask around - look for the students of the teachers - do you like how they sound? I've been singing professionally in New York City and all over the world for over 15 years. I know how to teach the voice trainging that will keep your voice SAFE, which is the most important part of a lasting career. I am happy to bring my experience and technique to the Front Range area!